AT Rent LLC rents vans in Tallinn. 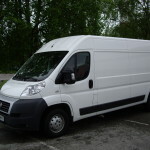 We offer large and spacious rental vans with the capacity range of 12.3 m³-13.3 m³. The inside length of cargo space is 3,300-3,700 mm, and the cabin can accommodate up to 3 people. 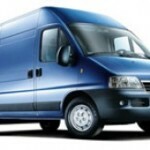 Our van park consists of such manufacturers as Fiat, Citroen, and Peugeot. 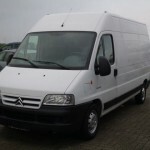 We offer both brand new as well as slightly older rental vans. All of our rental cars are delivered to the customer in a cleaned condition and with filled tanks; however, if the car is delivered on short notice or in any other unexpected manner, the terms and conditions of vehicle delivery as well as its condition upon return are agreed upon separately. 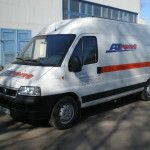 During the rental period, there is no mileage limitation in Estonia; adding more than one driver to the agreement is free of charge.In the case of at least a three-day rental period, upon customer’s request, AT Rent LLC will arrange free delivery of the rental car within Tallinn.AT Rent LLC wishes to make the service as comfortable as possible for the customer. Our advantage lies in quick service, flexible lease terms, and very reasonable prices.Upon agreement, we deliver and accept vehicles outside business hours and at weekends.Why rent a van at AT Rent LLC? 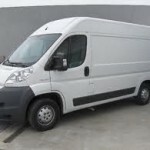 In the case of at least a three-day rental period, upon request, we will arrange free delivery of the rental van within Tallinn! A credit card is not required! Within Estonia, there is no mileage limitation! Adding more than one driver to the agreement is free of charge! 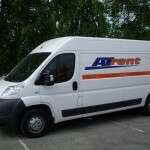 Van rental in Tallinn since 1997 – AT Rent LLC! Get to know more about the car!